In the kitchen at Villa La Madonna rests the heart and soul of our hotel. Here we cook food from Piemonte with inspiration from the whole of Italy. 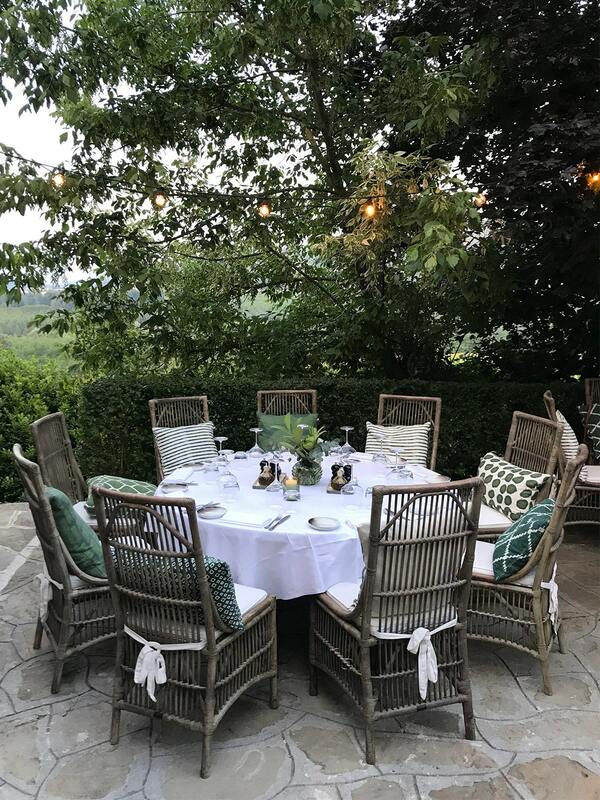 During the summer months you can enjoy outdoor dining on our terrace, overlooking the stunning Bormida Valley. 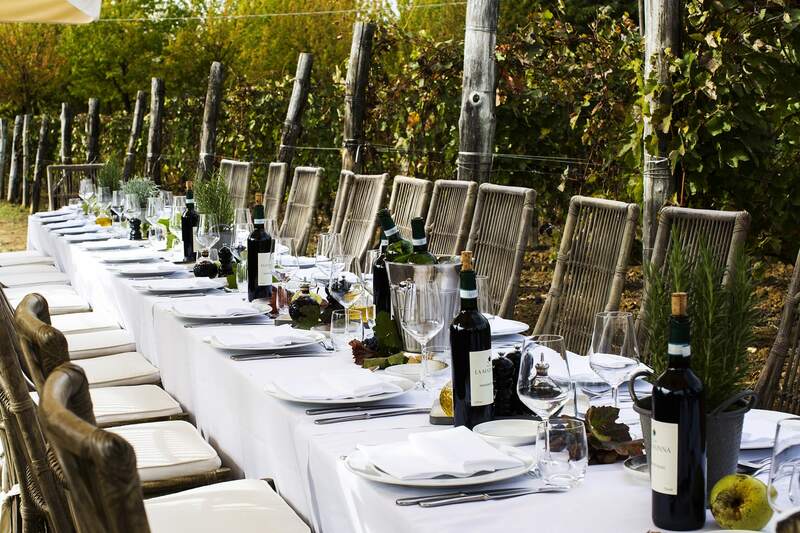 If you want an even more personal experience, we love to set your table among the rows of vines surrounding the hotel (only at lunch). Our restaurant is of course open also for you who are not staying at the hotel. Welcome! 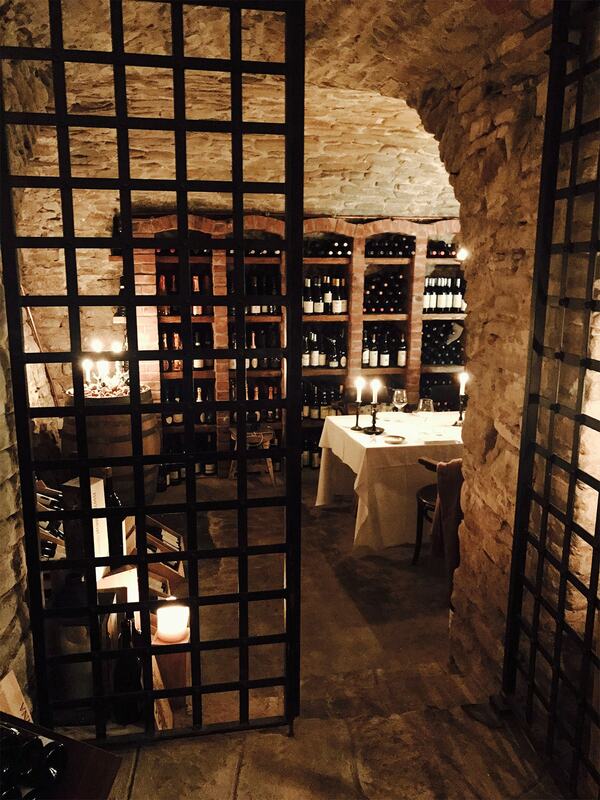 Our wine cellar was built already in the 1600s and it is here our sommelier Josh presents our impressive collection of exclusive wines such as Gaja Aldo Conterno, Bruno Giacosa and Giacomo Conterno. 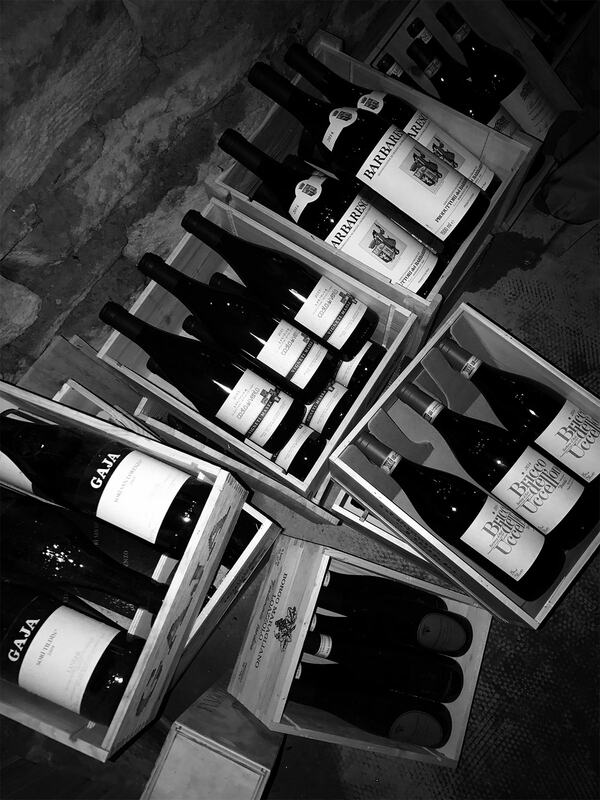 Here you will also find new less known jewels like Marco Capra and Marina Coppi – wines appearing quite frequently in our appreciated wine tastings.  Here in this genuine atmosphere we can arrange a memorable private evening with focus on the wonderful Italian flavours. This activity is suitable for a group of up to six people. Lunch is served 12:30-15:00 and can be enjoyed in the restaurant, outdoors on our piazza or by the pool. We start to serve aperitivo – lovely Italian delicacies at 18:30 and dinner at 19:00 (kitchen closes at 22:00). Our Italian kitchen is based on what the season has to offer. 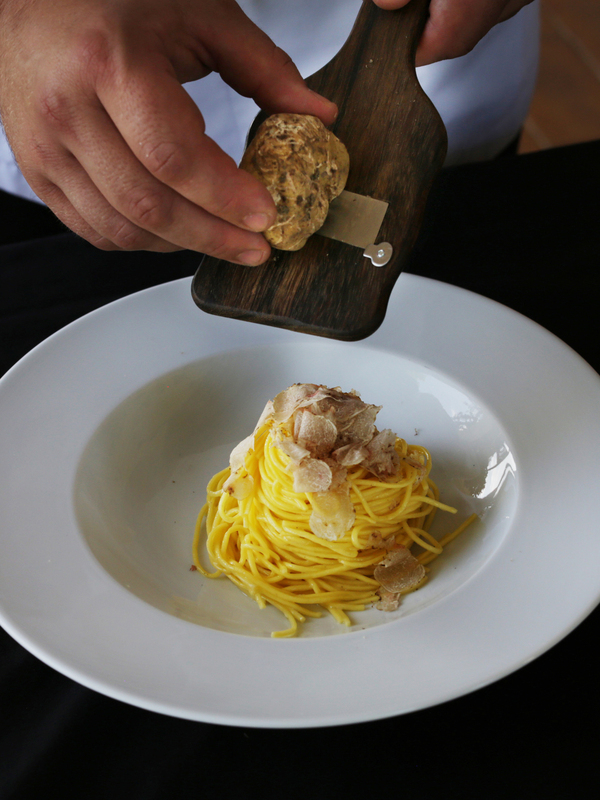 During autumn for example we serve the world-famous white truffle, one of Piemonte’s real culinary treasures. 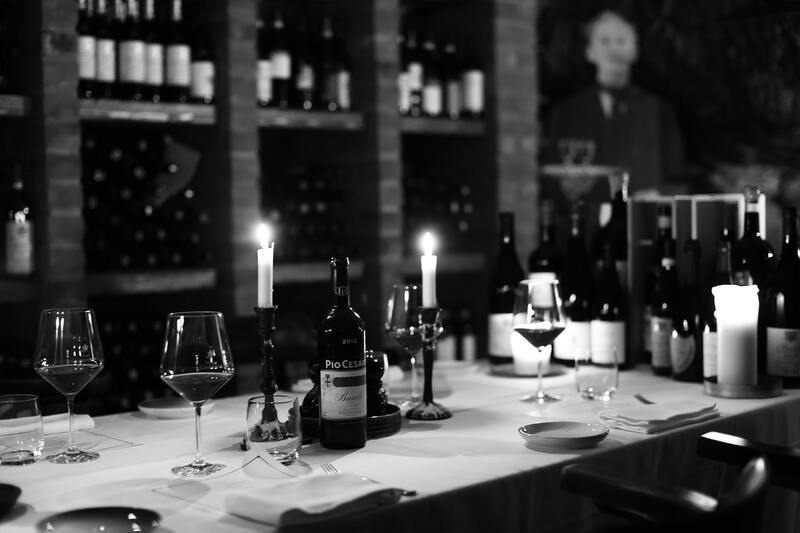 With the guidance of our fantastic sommelier Josh, your food and wine experience at Villa La Madonna will be something you’ll remember for a long time.